I’m forced to thin my Den because of some recent acquisitions, so this CG OC must go. 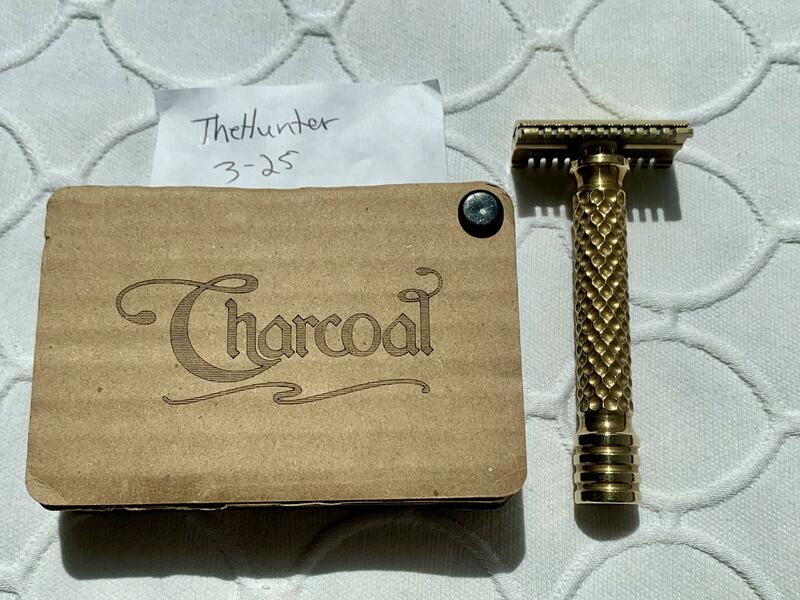 I am the original owner and purchased this Razor direct from Charcoal Goods. 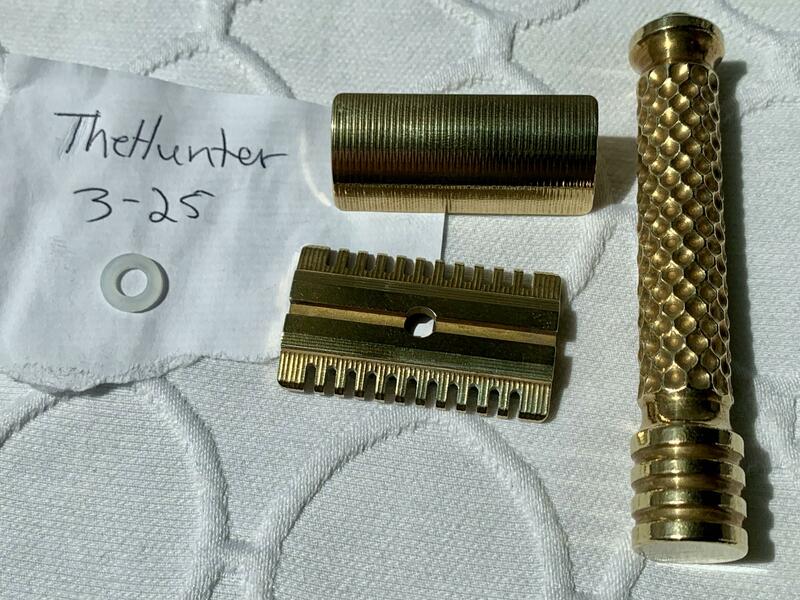 This is a level 2 Open Comb with Magnum Handle in Tumbled Brass. The Charcoal Goods OC is hard to come by and currently isn’t being produced. I have always used a nylon gasket between head and handle, so there is no marring from metal on metal. Comes with original packaging. 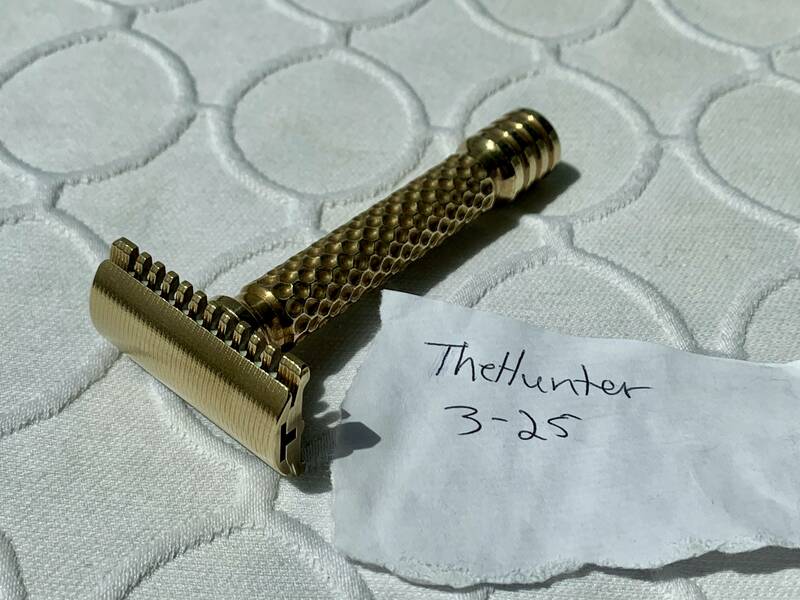 This Razor presents as new and has been meticulously maintained and gently used. 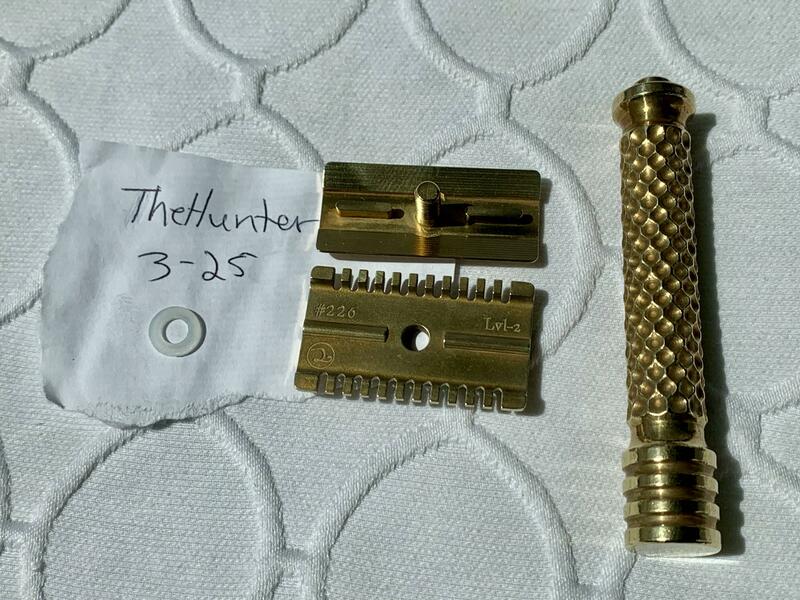 I purchased this Razor for $252, and am Selling for $250 Shipped Priority CONUS and PayPal only. Please PM with any questions or if you would like more pics. Beautiful razor. Top notch seller as well! Buy with confidence. (03-25-2019, 08:25 PM)Kehole Wrote: Beautiful razor. Top notch seller as well! Buy with confidence. 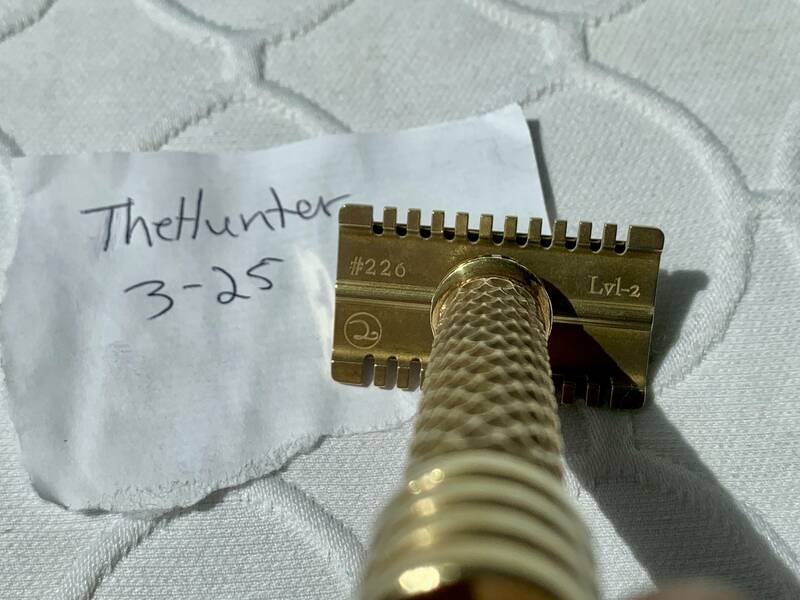 To OP or whoever buys, any interest in trading the plate for a LVL3 Antique Brass SB? Looks unused, shaves with only a few times. TheHunter is one of the best!! I'm amazed this hasn't sold yet. I'm a Level 3 guy or I would have been all over this. Good luck! Color me shocked. I've been under the impression these things have at least held the MSRP value...and the L2 is the best plate! It's always sad to see sought after gear sit on a BST knowing it would likely sell for more on an auction. Hat's tipped to you for trying, sir. I have a SB Level 2 and would like to get but funds aren't available. Thanks for trying here though !